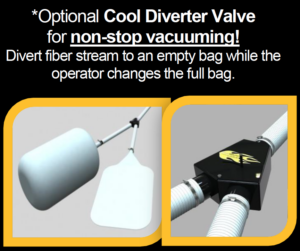 What else do you call the most powerful insulation removal vacuum available today? Our CoolVac 23 is already loved by many contractors. Can you imagine if you had FIVE of them in ONE unit? Our 37 Horsepower Insulation Removal Vacuum has the power and efficiency of FIVE of our 23 horsepower vacuums… here’s why! 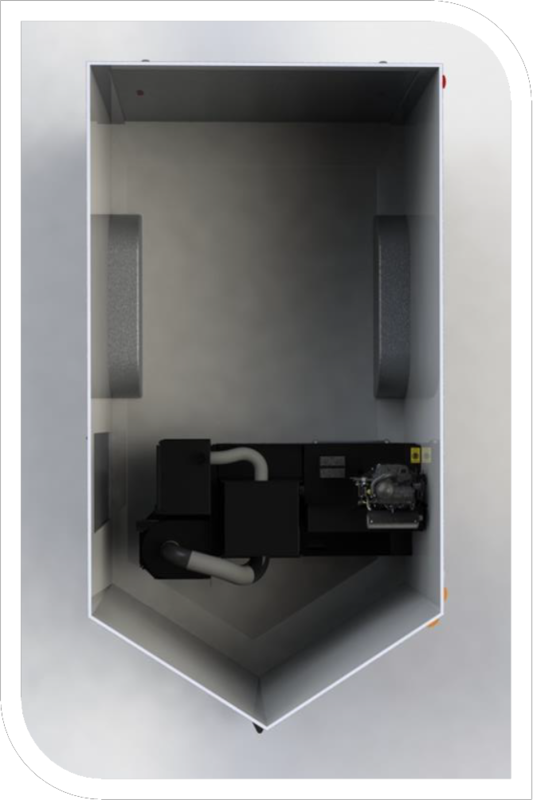 In standard vacuums, air and material flow through the fan chamber. 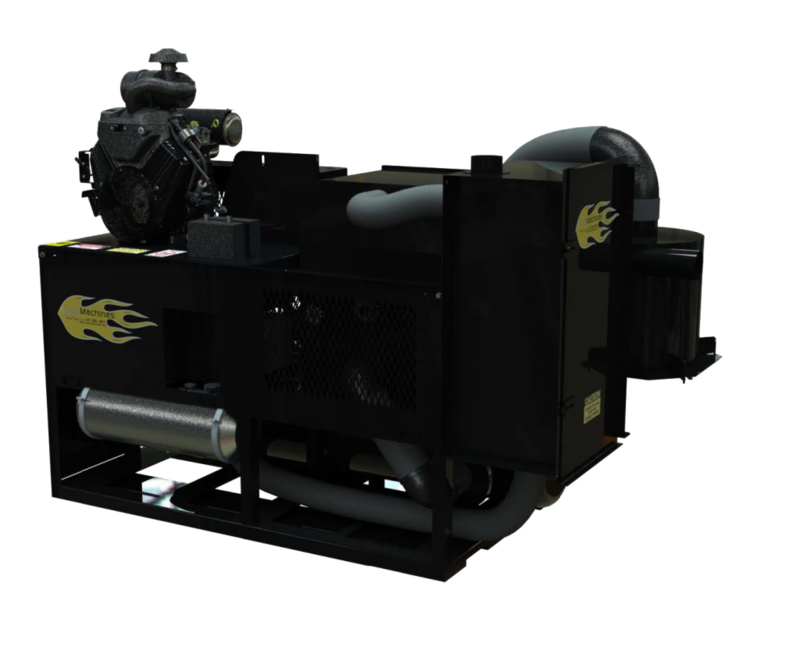 With our 37 horsepower vacuum, material is pulled into the vacuum using a Positive Displacement Blower. We do not send your material through a fan. Materials are sucked into this vacuum with a pump. This creates a “no-wear” vacuum. Coupled with our vacuum saver will give you many years of work without the hassles! You do not need to shut down the vacuum to change bags. That means, there is ZERO DOWN-TIME. IN MINUTES, you can fill a standard vacuum bag in 6′ by 4′ diameter. 800 CONSTANT CFMs. With a positive displacement blower, there is no slippage of air back into the unit as with a standard fan-based vacuum. A fan-based vacuum will have a greater no-load CFM rating, but they severely drop in CFMs when material is in the hose. For example, excellent fan-based vacuums have 3,600 cfms. They all drop back to 200 cfms when under load. which has a 123″ WATER COLUMN RATE. 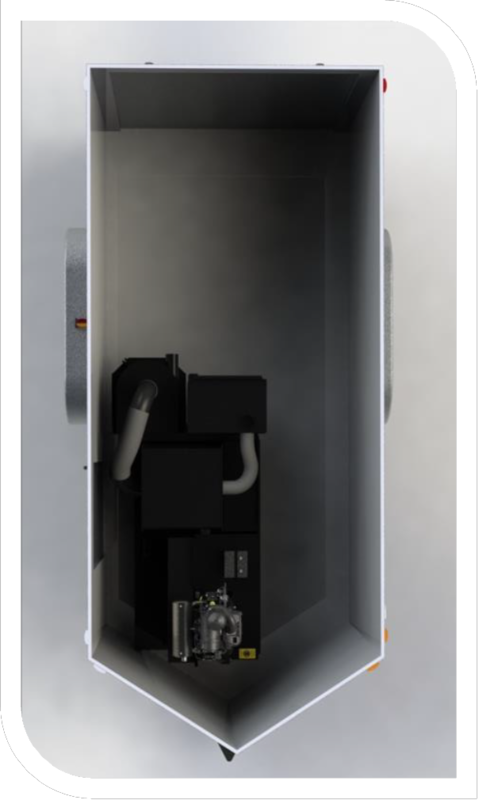 Compare that to our 23 horsepower which already leads the industry with a 28″ water column rate! Electric start: with included 12 volt battery. Integrated engine block cooling air filter.